Location: USP Terre Haute is located on Highway 63, 2 miles south of the City of Terre Haute, which is 70 miles west of Indianapolis on I-70. Background: USP Terre Haute was opened in 1940. It houses sophisticated prisoners who require additional supervision. USP Terre Haute also contains the Special Confinement Unit, which houses federal inmates sentenced to death. 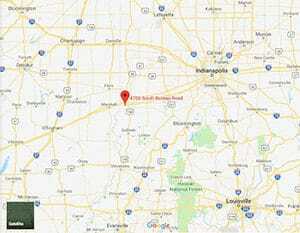 It is part of the Terre Haute Federal Correctional Complex (FCC). Notable inmates include Timothy McVeigh (convicted of planning and executing the bombing of the Oklahoma federal building and executed in 2001), Louis Jones, Jr. (convicted of the kidnapping, sexualt assault, and murder of US Army Private Tracie Joy McBride and executed in 2003), Joseph Edward Duncan (sentenced to death in 2008 for kidnapping and quadruple murder), and leader of the Dixie Mafia Kirksey Nix (serving a life sentence for ordering murders and running a blackmail scheme). Housing: Inmates are housed in four housing units ranging from dormitories with two-person cubicles to two-person cells. Health Services: Health services include medical and dental sick call, emergency care, medications, annual and bi-annual physical examinations, health promotions and disease prevention programs, and diagnosis and treatment of chronic infectious diseases. Emergency care is available by approaching any staff member. A sick call form must be submitted to Health Services in order for routine care to be rendered. Psychology Services: All inmates at USP Terre Haute are screened by Psychology Services staff during the first 14 days of admission. Psychology services are offered for behavioral and emotional problems. Inmates confined in special housing units are seen by a psychologist at least once per month, though these interactions usually last less than a minute. There are many alternatives for inmates who have personal problems and desire to correct them, such as self-image groups, anger management, and other voluntary groups. The facility also offers the Challenge Program for inmates who are prone to substance abuse, mental illness, and violence. The Life Connections Program is also offered through Religious Services for inmates who desire to grow as a responsible person. Residential Drug Abuse Program (RDAP): USP Terre Haute does not house a Residential Drug Abuse Program (RDAP). The facility does offer the Drug Education class , the Non-Residential Drug Abuse Program (NR-DAP), Alcoholics Anonymous (AA), and Narcotics Anonymous (NA). Education Services: USP Terre Haute provides GED, English-as-a-Second Language (ESL), parenting, and Adult Continuing Education (ACE) programs. High school diplomas and post-secondary programs are available through paid correspondence programs. Advanced Occupational Education: USP Terre Haute does not offer any advanced occupational education programs. Vocational Training: USP Terre Haute offers vocational training in Computer Applications. Apprenticeship: USP Terre Haute offers apprenticeships in Baker, Barbering, Cook, Housekeeping, Office Manager, and Tutor. Library Services: The Reference Library provides nonfiction materials and reference books for inmates pursuing studies in specific areas. The TRULINCS Electronic Law Library is located in the Education Department and in the Special Housing Unit. The library contains a variety of legal reference materials for use in preparing legal papers. Inmates can also check out fiction books, newspapers, and magazines from the library. UNICOR: The USP Terre Haute UNICOR facility produces clothing and textiles. Commissary: The total value of an inmate’s accumulated commissary purchases (except for postage stamps, copy cards, and over-the-counter medications) is limited to $360.00. Special limits may apply. Commissary items such as food, drinks, electronics, ice cream, and shoes are available. Recreation Services: Programs include indoor and outdoor activities, and range from individualized arts and crafts programs to intramural team sports such as softball, basketball, and volleyball. Physical fitness and weight reduction programs are also available. Hobbycraft programs at USP Terre Haute include activities such as painting, leather, and art.